Because it's Festivus for the rest of us, this tee is for you! 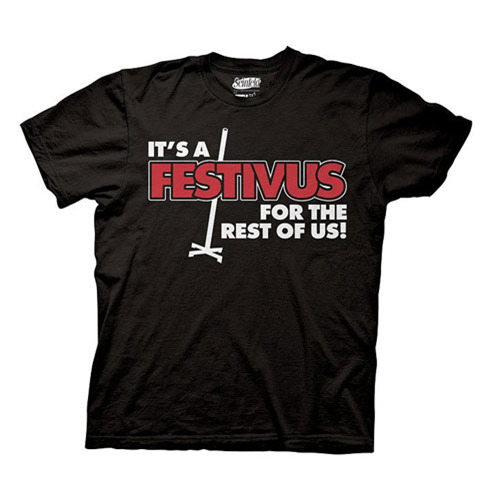 This Seinfeld It's Festivus For The Rest Of Us Black T-Shirt features the famous quote from Seinfeld. "It's Festivus for the rest of us!" General Sizing Chart - Measurements not exact, some may vary.